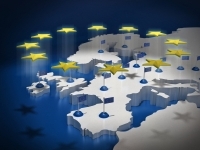 So that its readers can understand how the European Union is run, what the economic crisis is about - the Robert Schuman Foundation publishes special supplements in which it deciphers and summarises the issues at stake. It offers unique analyses on various questions under debate in Europe at present. Read our information sheets to understand the economic and financial crisis, the EU's budget, the budgetary pact and the Lisbon Treaty. In its chapter « Understanding Europe better », the Robert Schuman Foundation has put both informative (maps, comparative tables, statistics) and amusing (European anthem and quiz) documents on line so that the public understands Europe better. The UK general election on 7th May 2015 will be decisive. Firstly because no party will win a majority alone and that another coalition will be necessary. Moreover if the Conservative Party wins David Cameron has promised to organise a referendum in 2017 on the issue of the UK exiting the European Union. In this file the Robert Schuman Foundation presents the complicated relations the UK entertains with its European neighbours. The 27 Heads of State and government came to an agreement on 8th February 2013 on the draft European budget for 2014-2020. The budget which has been reduced for the first time totals 960 billion euros in commitment appropriations and 908.4 billion in payment appropriations. The budget was challenged by the European Parliament. But without its agreement it will be impossible to implement the budget. To understand the EU budgetary system better and what is at stake in the next one the Robert Schuman Foundation has created a special page on which it presents all of the articles it has published on this issue. To gain a better understanding of the issues at stake in the economic and financial crisis, the Robert Schuman Foundation has created a special page that brings together all the articles it has published on this subject. The Treaty on Stability, Coordination and Governance (TSCG), better known as the European budgetary pact, signed on 2nd March 2012 in Brussels by the heads of State and government of 25 Member States of the European Union (all except for the UK and Czech Republic) entered into force on 1st January 2013. Actually, it was decided that it would enter into force once 12 euro zone Member States have ratified it. Since 21st December 2012, it has been the case. Since 27th February 2013, it has been ratified by 18 of them (including 13 in the euro zone). The Robert Schuman Foundation offers its readers a special file on this issue. The European Council, which met in Lisbon on 18th and 19th October 2007 approved the new reform treaty so called "Lisbon Treaty", which replaces the draft Treaty establishing a Constitution for Europe. This new treaty introduces modifications both to the Treaty on European Union (Maastricht Treaty) and the Treaty establishing the European Community (Rome Treaty). The economic and financial crisis has affected investment severely since 2008: at the end of 2014 investment levels lay at 16.9% below that of 2007. However investment is an important lever for growth. In this context the European Commission chaired by Jean-Claude Juncker has made the recovery of investment a priority. On 13th January 2014 it presented a plan for recovery (the so-called Juncker Plan) which should lead to the mobilisation of around 315 billion euro in investments over the next three years. This file on investment as a means to revive growth, brings together all of the documents published by the Foundation on this issue. The geopolitical crisis that followed the refusal by former President of Ukraine,Viktor Yanukovych to sign the Association Agreement between Ukraine and the European Union at the end of 2013 caused turmoil in the east of Europe. The Eastern Partnership was the Union’s main instrument vis-à-vis its Ukrainian, Moldovan, Belarus and Caucasian neighbours. The annexation by Russia of the Crimea and the war in the Donbass has forced Europeans to respond and draw up a new policy in order to deal with Russia. From the “strategic partnership” to economic sanctions, Euro-Russian relations have changed dramatically over the last few months. The Foundation offers its audience a file that brings together publications on the EU, Russia, Ukraine and the Eastern Neighbourhood which provide an overview of developments in policy in Eastern Europe. To find out more about Europe the Robert Schuman Foundation has put summary sheets on-line of 28 EU Member States and its neighbours – three tables on the position of women in governments, national parliaments and the European Parliament. It also offers you a comparison of the retirement systems in 28 Member States. Finally you can listen to the European anthem. The series of shipwrecks in the Mediterranean has led to an urgent situation regarding the European migratory policy. According to the International Organisation for Migration (IOM), more than 1,750 migrants perished in the Mediterranean between January and April 2015 – this is 30 times more than during in the same period in 2014. Given these catastrophes an extraordinary European Council is being organised on 23rd April and ten new measures were put forward on 20th April by the European Commission – these include the strengthening of surveillance and rescue missions at sea. The Robert Schuman Foundation has put together an information file on the theme of immigration, bringing together all of its publications on this subject covering developments in Europe. 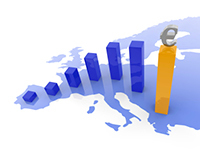 After the 2008 economic crisis the States of the euro zone realised that the Economic and Monetary Union (EMU) was not complete and that consolidation was required. Initiatives have been taken to this effect with the introduction of the financial solidarity mechanisms, the European Stability Mechanism and the project for banking union. However there is still major divergence in terms of Economic and Fiscal Union, notably regarding European involvement in national decisions and the timeliness of a common euro zone budget. Moreover the need to strengthen the institutions and for greater democratic legitimacy on the part of the EMU is increasingly evident, going hand in hand with a deepening of euro zone integration. After presenting the main direct effects of the economic and financial crisis on the European economy, the Robert Schuman Foundation offers its readers an instructive set of papers on “post-crisis” issues implied by the economic governance of the euro zone and on the proposals to improve its efficiency and its legitimacy.